Selling a property in winter may seem to go against received wisdom, but there are plenty of reasons why it can be a good idea. It’s hard to ignore powerful or compelling reasons like a change in your work, financial or family circumstances, or because the timing seems right. There are several other, more tangible upsides to selling in winter. Firstly, there are often fewer houses on the market so there’s less competition. Your property is less likely to be lost in a swarm of listings and it will be easy to make it stand out. People who are looking to buy at this time of year are usually highly motivated because they need a home sooner rather than later. The upside of this is that you may get fewer ‘tyre-kickers’ than in the warmer months – and increased demand will often result in higher prices. If you are selling your property through a real estate agent, you need to mine their experience. When you are choosing an agent, ask them how houses in your area sell over the colder months. It is in their interests to make sure the sale of your property is as advantageous as possible; if they think you’ll be better off waiting a couple of months, they should tell you. They should also work with you to work out the best times to hold open homes or viewings, taking in account shorter sunlight hours. You want your property to look attractive, inviting and easy to look after – and there are plenty of practical steps you can take to make it seem an attractive proposition on a cold winter’s day. Nos is the time to fix any leaks, cracked windows or sticking doors or broken drains. All the usual rules for preparing a home for sale will apply – your buzzwords should be decluttering and deep-cleaning. If it has good insulation and an efficient heating system, make sure these factors are included in any marketing. Ensure the house is warm and dry during any viewings. Don’t forget that people will want to look around the outdoor areas too – sweep or waterblast paths, mulch garden beds and clear gutters. If your garden is picture-perfect in summer and spring, consider making some photos available so prospective buyers can see what they’ve got to look forward to. A few colourful plants in pots will also help brighten outdoor spaces and a new letterbox or freshly painted front fence or gate will do wonders for your property’s street appeal. Prepare well and there’s no reason why you cannot successfully sell your property before the weather warms up. Sell now and you’ll hopefully have lots of properties to choose from when you start scanning the market in spring. 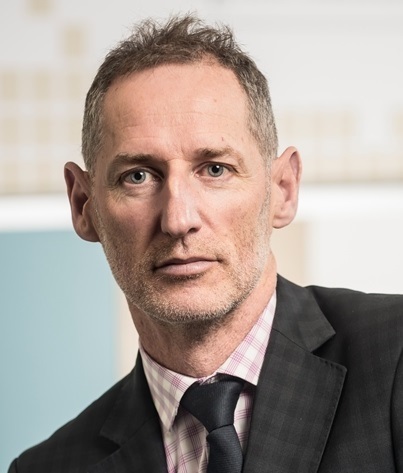 Kevin Lampen-Smith is the chief executive of the Real Estate Authority (REA), the independent government agency that regulates the New Zealand real estate industry. For more information about buying or selling property, check out settled.govt.nz.